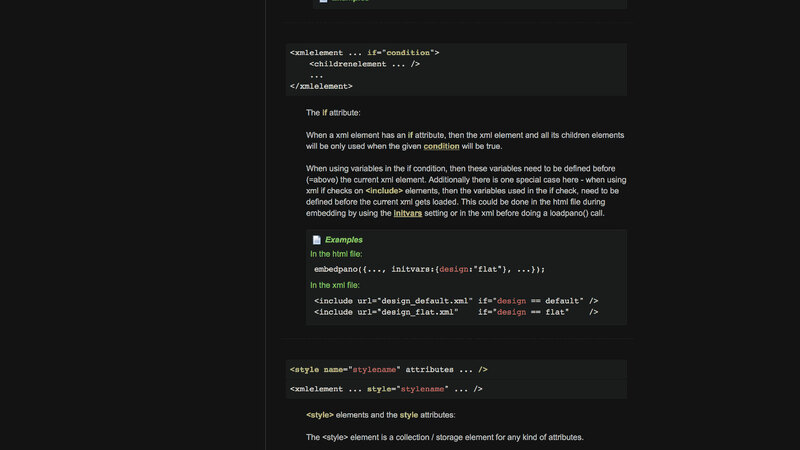 I have written dark theme for krpano site and – especially – documentation. It requres addon called 'Stylish' available for all browsers. great to read it like this ! !